The 215 Series is a two-door, double-decker suburban-type electric multiple unit developed by JR East to provide more commuters with seating during the busy morning and evening commutes. Crowded long-distance commutes have always been an issue on the Tokaido Line and there have been attempts such as double-decker green cars in 15 car formations. However, these were still not enough to provide seating for everyone. In 1992, JR East rolled out the 215 Series to try to deal with this situation. The most outstanding feature of the 215 Series is the fact that all but the two end cars in each formation are double-deckers. Regular cars seat up to 120 and green cars seat up to 90 passengers. The body design is based on the double-decker green cars of the 211 Series and are made of stainless steel. 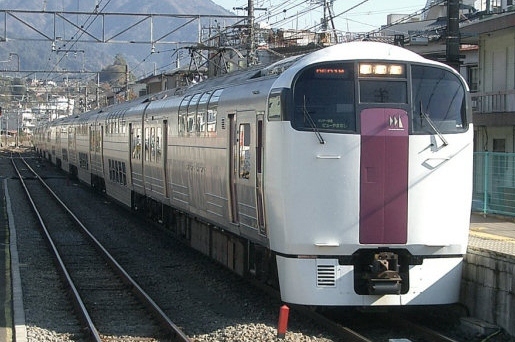 The 215 Series trains were originally used on Shonan Liner and Acty rapid services but entering and exiting the train proved time consuming and the trains were eventually moved to the Shonan-Shinjuku Line. 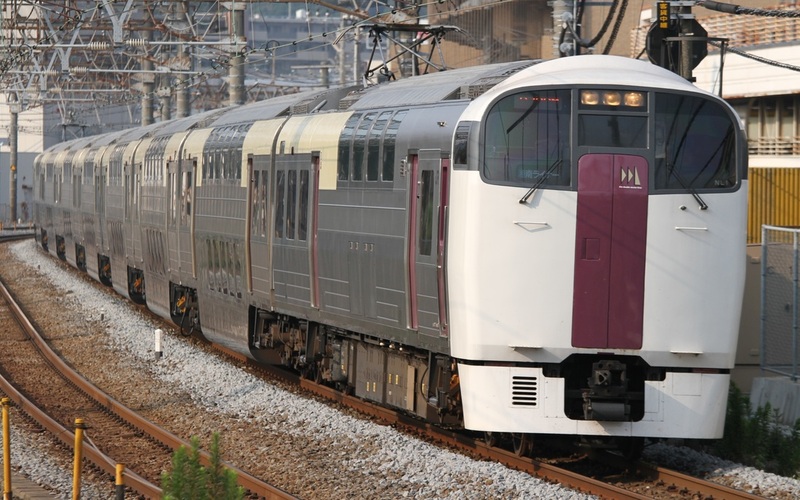 In 2004, all Shonan-Shinjuku Line trains began operating E231 Series trains and the 215 Series was removed from service. Currently, 215 Series trains operate as weekday-only Shonan Liner, Home Liner Odawara and Ohayo Liner Shinjuku trains.